The addition of Democrats Cory Booker of New Jersey and Kamala Harris of California to the Senate Judiciary Committee on Tuesday gave the two potential 2020 presidential hopefuls a big platform, but also a spot in the panel?s history. Booker becomes the first black man to sit on the committee, which oversees civil rights, voting rights, housing discrimination and other Justice Department enforcement efforts that are seen as crucial to African-Americans. Harris, who is biracial, becomes the second black woman to serve on the panel, after Carol Moseley Braun of Illinois, who left the Senate in 1999. 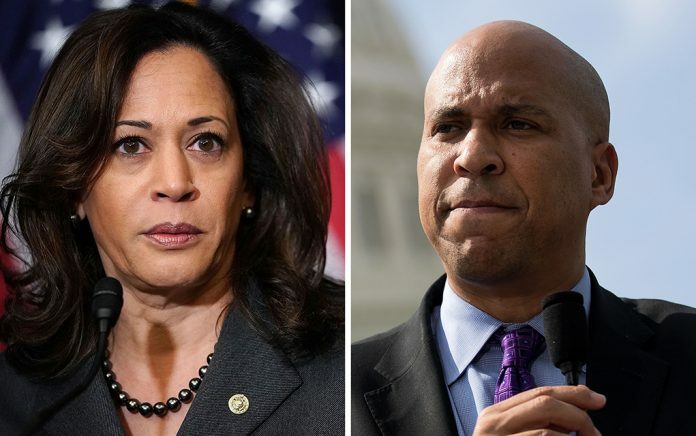 In one move by Democrats, Booker and Harris become the second and third black senators to serve on the committee and its first black members in nearly two decades. It will be the first time two black senators have been on the panel at the same time, and it comes as minority communities express concern at moves by President Donald Trump and his administration, specifically those by Attorney General Jeff Sessions. To put the Booker and Harris appointments in context, only 10 African-Americans have served in the Senate in history. ?As a new member of the Senate Judiciary Committee ? I will make it my mission to stand up to Jeff Sessions & President Trump,? Booker said on Twitter. ?And I won?t rest until there is liberty & justice for all.? Harris, a former attorney general of California, said she was ?thrilled? in a Twitter post. ?You have my commitment that I will fight for justice on behalf of Californians and all Americans,? Harris said. Civil rights groups cheered the news. ?Previously, only 1 African American had ever served on this body during its 201-year history. This is an important step forward that brings needed diversity to this important Committee,? Kristen Clark, president and executive director of the Lawyers? Committee for Civil Rights Under Law, wrote on Twitter. Louisiana Democratic Rep. Cedric L. Richmond, chairman of the Congressional Black Caucus, said Booker and Harris are committed to ?21st century criminal justice reform? and bring experience and expertise to the panel that ?will be beneficial for all Americans, especially those disproportionately targeted by the criminal justice system.? On the committee, Booker and Harris will have oversight of the Justice Department, Sessions, the special counsel probe into connections between Russian operatives and the Trump campaign, and a piece of the lawmaker investigations into the same issue. They also arrived on a committee with a narrowed majority for Republicans, 11-10. There had been an 11-9 advantage for Republicans, but the election of Alabama Democrat Doug Jones in place of appointed GOP Sen. Luther Strange last month meant a recalculating of all committee ratios. In January 2017, Booker was one of three black lawmakers who testified forcefully against Sessions, then a Republican senator from Alabama, during his confirmation hearing to be attorney general. Booker, a lawyer before entering politics, said at the time that he knows ?some colleagues aren?t happy I am breaking with Senate tradition? by testifying against a colleague, but he argued then that he stood with his conscience and country over Senate norms. Sessions ?at numerous times in his career ? has demonstrated hostility? toward civil rights, Booker said last year. He told reporters after Sessions? confirmation hearing that it was ?a time that whatever the outcome, you can?t be silent.? Sen. Dianne Feinstein of California, the committee?s top Democrat, is the first woman in that post. She was named to the ranking member slot in November 2016, before the start of the 115th Congress.